As a successful business owner, you may be looking into opening a Roth IRA but are worried of penalties or taxes associated with withdrawals. In order to figure out whether a Roth IRA is the best choice for your retirement savings, you need more knowledge of these penalties and taxes. Do not worry, you do not need to hire a business advisor to guide you in the process. 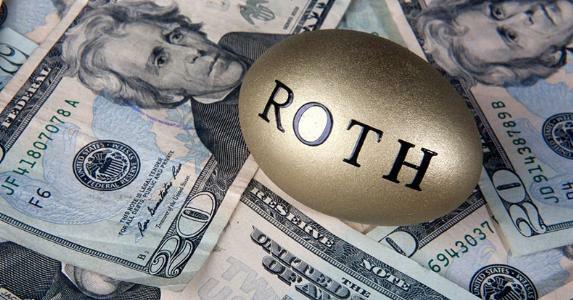 This article will break down the taxes and penalties associated with Roth IRAs both now and upon retirement, so that you can make an informed decision whether it is the right choice for you. Contributions to a Roth IRA are taken after your income has already been taxed and not again after. While you may consider this a disadvantage versus other retirement fund options, it is a very big advantage in the long term. Any gains from your Roth IRA are tax free throughout the years you keep the account open as well, which is a great benefit. However, there is a tax penalty in the short term. You will be taxed 10% if you withdraw from the account prior to the age of 59 1/2. There are exceptions to this of course, such as if you are withdrawing the funds to finance a first time home purchase or if you are totally disabled. As long as your Roth IRA has been open for 5 years and you are at least 59 1/2 years of age you will not be taxed or penalized on withdrawals. This untaxed income is particularly beneficial after retirement. You will not penalized for withdrawing funds until the age of 70 1/2, when you must begin getting disbursements from your Roth IRA. On the other hand, you can be penalized in retirement too. If you do not meet the minimum disbursement you will be penalized 50% unless you can provide valid reasoning. If you can, pardons will be allowed. This is not a common problem, and may not be much of a factor for the average person considering a Roth IRA. Deemed IRA accounts are qualified employer plans that maintain a separate account under the plan specifically for the purposes of receiving voluntary contributions from the employee. Unless the annuity meets the requirements of an IRA, it will not be subject to IRA rules. These employee accounts can be considered traditional IRAs or Roth IRAs, they are not static. These qualified employee plans include pensions, profit sharing or stock bonus plans, employee annuity plans, tax sheltered annuity plans and deferred compensation plans maintained by states, political subdivisions of a state, or agencies of a state or political subdivision. Remember to keep this consideration in mind. If you are looking for tax-free disbursements in retirement, then a Roth IRA fits the bill. As long as you are able to open the account at least five years before retirement and will meet the age requirement of 59 1/2 years, you will be able to enjoy the benefits of tax free disbursement without having to consult a commodity broker. The 10% tax taken on early withdrawals may also be a factor in your decision making if you are worried about possible unforeseen expenses. It is important to consider these factors and others when deciding whether a Roth IRA is the right decision for you.